Many countries have their own laws to protect human rights. However, not all countries have such laws and those who do sometimes fail to follow them. Enforcing human rights law internationally can be problematic – different cultures may have different standards and may be unwilling to change their behaviour to satisfy internationally accepted norms. In today’s world ensuring human rights may have to be balanced against the need or desire to maintain trade or diplomatic relations with a country whose human rights record is questionable. The waters have been further muddied by the so-called war on terror. When countries, which might previously have been setting the standard for international human rights, have subverted those rights it may make it more difficult to enforce human rights in other countries. The starting point of much international human rights law is the Universal Declaration of Human Rights adopted by the General Assembly of the United Nations (UN) in 1948. This document sets out the fundamental rights and freedoms considered by the UN to be universal to all people. Although it is not in itself a legally binding document it has been accepted as a template for human rights by many countries throughout the world. The Human Rights Council was set up by the UN in 2006 to promote and protect human rights and is made up of 47 inter-governmental representatives from around the world. Part of its current remit is to assess the human rights situation in all 192 member states of the UN. The UN has a complaints procedure in place through which organisations or individuals can alert the UN to human rights breaches. This is aimed at resolving persistent, serious and reliably documented breaches of human rights. A screening process is in place to filter out malicious or politically-motivated complaints. If the UN receives a complaint of serious human rights abuses it launches an investigation. However, in order to carry out an investigation in the relevant country the commission must have the consent of the country involved. A debate may then be held on that country’s human rights abuses and a condemnation issued, if the allegations are upheld. The idea is that, by working with the country involved, the UN can help that country improve its human rights record. Ultimately, if neither the investigation nor the debate resolves the problems a UN resolution may be passed condemning the country’s abuse of human rights. 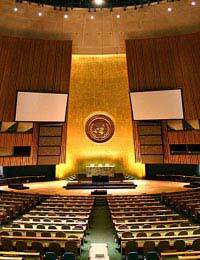 Over the years the UN has introduced a number of conventions and protocols relating to all areas of human rights. Through specialist commissions, advisers, working groups and Special Rapporteurs based all over the world the UN seeks to protect and promote human rights. Whilst maintaining sensitivity to cultural differences, the UN must uphold a basic, universal standard for human rights. Countries which have signed up to international human rights treaties generally commit to protecting the human rights of individuals and promoting universal human rights. Those countries should, therefore, have in place a domestic legal system that can be used to address human rights breaches. Where this system fails to resolve a human rights problem the UN may get involved to investigate the breach, help the country resolve it and if necessary take steps to ensure the country complies with its human rights obligations. The UN’s ability to deal with human rights abuses largely depends on two things: the country’s cooperation with the UN’s mechanisms and the country’s desire to maintain its international reputation. The UN’s Security Council can deploy UN peacekeeping forces to countries where human rights violations are said to be taking place. This may happen at the request of the country itself or following a resolution, due to a failure by the country to resolve the problems or because of a breakdown in the rule of law in that country. The UN’s primary objective is to avoid war and keep the peace – therefore deploying forces of any kind will always be a last resort. The International Criminal Court was created to deal with the most serious of international human rights abuses – generally amounting to genocide or war crimes. It works independently of the UN and can prosecute individuals for crimes which occurred after its inauguration in July 2002. Either the UN or a country itself can refer cases to the International Criminal Court for further investigation and possible prosecution. Famously the USA refused to ratify the law which gave effect to the International Criminal Court, fearing that American soldiers could be liable to prosecution for war crimes if it did so. A UK Bill of Rights? President Trump and his administration are making numerous breaches of the UN Convention on the rights of the child. As such they are committing human rights offences and I request that the UN stand by their Convention and take action against the USA. I believe the USA has breached the following conventions article 9 (separation from parents) Children must not be separated from their parents against their will unless it is in their best interests (for example, if a parent is hurting or neglecting a child). Children whose parents have separated have the right to stay in contact with both parents, unless this could cause them harm. article 10 (family reunification) Governments must respond quickly and sympathetically if a child or their parents apply to live together in the same country. If a child’s parents live apart in different countries, the child has the right to visit and keep in contact with both of them. 9 (separation from parents) Children must not be separated from their parents uagainst their will unless it is in their best interests (for example, if a parent is hurting or neglecting a child). Children whose parents have separated have the right to stay in contact with both parents, unless this could cause them harm. article 22 (refugee children) If a child is seeking refuge or has refugee status, governments must provide them with appropriate protection and assistance to help them enjoy all the rights in the Convention. Governments must help refugee children who are separated from their parents to be reunited with them. article 37 (inhumane treatment and detention) Children must not be tortured, sentenced to the death penalty or su er other cruel or degrading treatment or punishment. Children should be arrested, detained or imprisoned only as a last resort and for the shortest time possible. They must be treated with respect and care, and be able to keep in contact with their family. Children must not be put in prison with adults. The UN talk a big talk but they are impotent when the going get tough. They really should act with Unity and Stand up against torture Dictatorships that have gone awry and many other oversteps of government authority... alas they never have and never will draw a hard line because their power comes from a few superpowers and those powers are usually in direct opposition to each other, a house divided cannot stand so all that has to happen is china, america or russia not supporting their actions and they will slouch back into inaction. The UN is a joke just like the league of nations were. Why is the UK violating free speach rights by arresting and prosecuting someone over an internet joke?All this talk of other cultures, but a failure of introspection. Why does Australia and Canada allow hate speech to suppress personal religious beliefs? Why are Islamic religious countries allowed to get away with state persecution of anyone who chooses to have a different religious belief? "A debate may then be held on that country’s human rights abuses and a condemnation issued, if the allegations are upheld." what does this exactly mean? debate between who? is this shown in public?